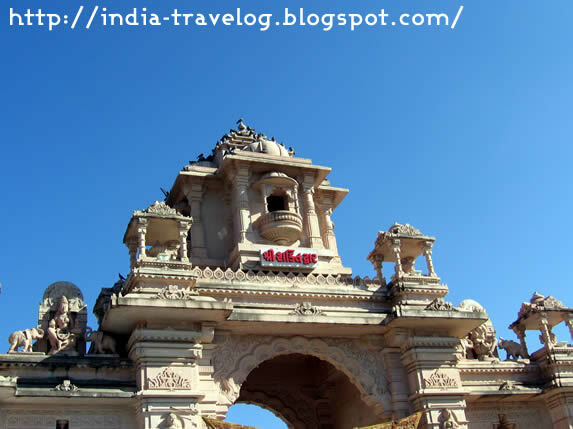 We travelled from Mt Abu in Rajasthan to Ambaji in Gujarat to visit the famed Arasuri Ambaji temple. We are glad we made it because the temple is yet another example of exquisite craftsmanship seen in Gujarat and Rajasthan. The top of the main temple standing tall at 103 ft has a Suwarn Kalash Shikhar. It is a gold coated,decorative, single piece, marble structure. The holy Trishul and a large red flag stand tall on this structure. 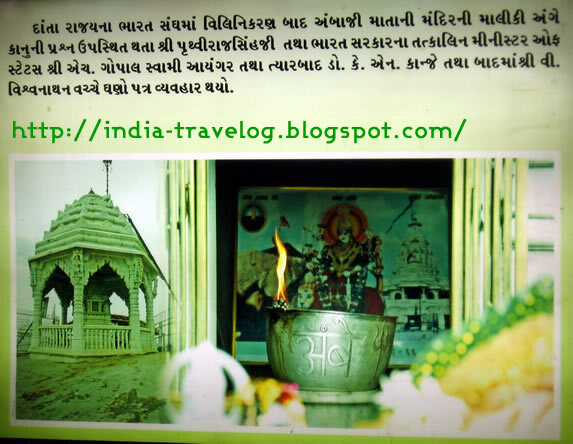 The main temple has a big Mandap with a Holy Gokh of the Mataji in the Garbhgruh. The marble carvings inside are also intricately done. The main outer entrance to the temple is the Shakti Dwar which has been built in the Gopuram style. 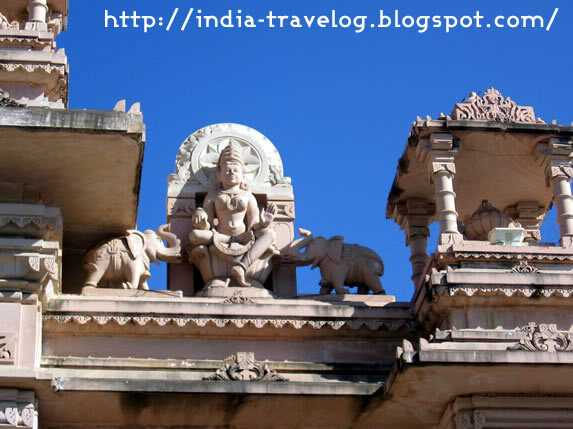 It has a total of five gates and has been carved from the Bansi Pahanpur Stone. We visited the temple twice – once in the morning and once in the night. And were we in for a surprise?? 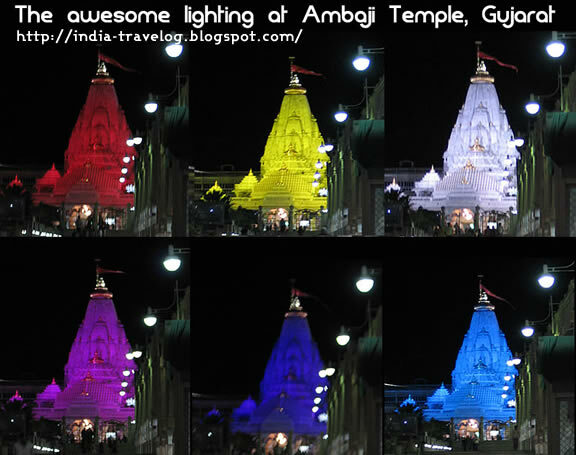 The temple was beautifully illuminated at night with changing colors. The lights brought out the beauty of the marble carvings. The lanes and by-lanes near the Ambaji temple are dotted with shops selling all kinds of stuff – pooja items, clothes, toys, swords and daggers. There are also innumerable eateries around. 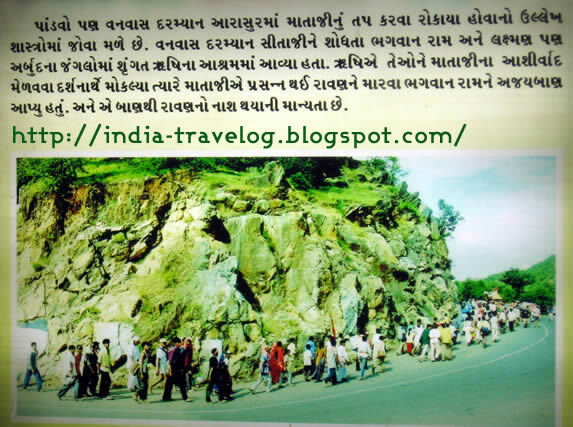 Around 5 kms from the Ambaji Temple is the mountain Gabbar which has a small temple. 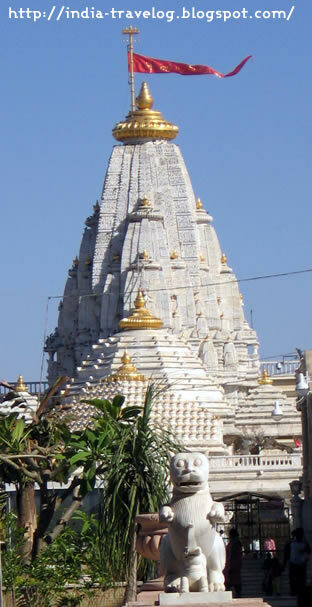 Gabbar is located on the Gujarat-Rajasthan border, near river Saraswati at an altitude of approx 480 meters.A lamp is constantly kept burning on this hill temple facing exactly the front of the Visa Shree Yantra of Nij Mandir at Ambaji. The pilgrims climb around 900 odd steps to reach the temple. 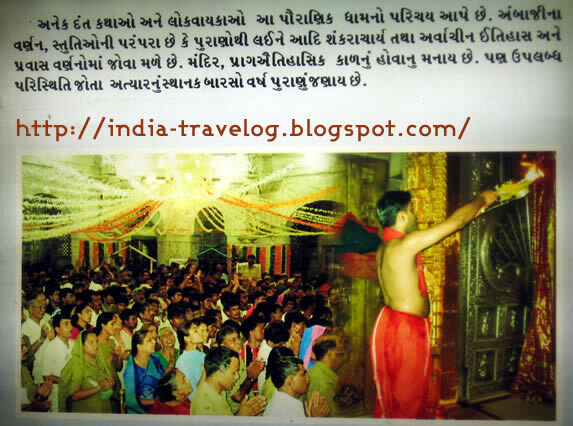 In 1998 the Ambaji Mata Devasthan Trust inaugurated The Shri Amba Devi Udan Khatola Facilities - a Rope Way - to make it easier for the pilgrims. We could not visit Gabbar though. 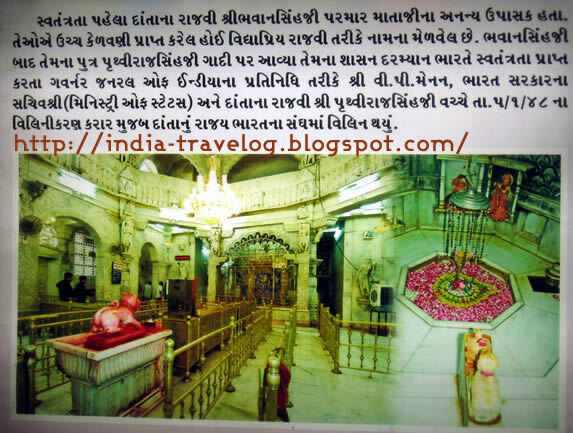 AS in all other major temples - cameras and mobiles are not allowed inside the Ambaji temple. I could onlt take some photographs from outisde. But there was a Slide show near the Shakti Dwar - I have captured pictures of those. You can have a look at how the temple looks inside in these slides. 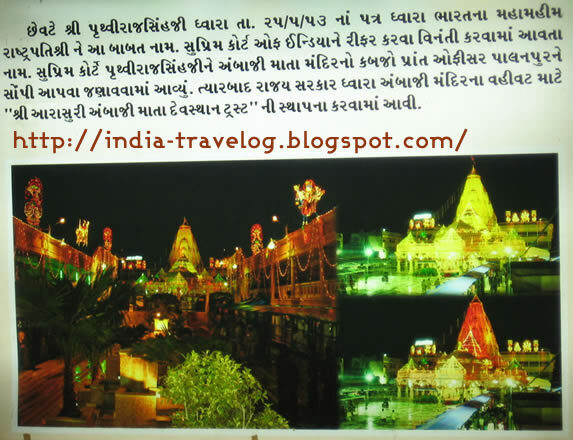 Thanks a Lot for posting Ambaji Arctile. I feel i just visited there.